Giuseppe "Peppino" Impastato was born in Cinisi, in the province of Palermo, into a Mafia family. His father Luigi Impastato (it) had been sent into internal exile during the fascist era, and was a close friend of Mafia boss Gaetano Badalamenti. His father's brother-in-law, Cesare Manzella, was an important mafia boss who was killed in car bomb attack in 1963. As an adolescent, Peppino broke off relations with his father – who kicked him out of the house – and initiated a series of political and cultural Antimafia activities. In 1965 Peppino Impastato founded the newsletter L'idea socialista and joined the left-wing PSIUP party (Italian Socialist Party of Proletarian Unity). He took a leading role in the activities of the new revolutionary movements that sprung up in 1968. He led struggles by Cinisi peasants whose land had been expropriated to build the third runway at Palermo's Punta Raisi Airport, as well as disputes involving building workers and the unemployed. In 1975 he set up Music and Culture with other young people in Cinisi. The group organised debates, film, theatre and music shows and started a self-financed radio station named Radio Aut in 1976. 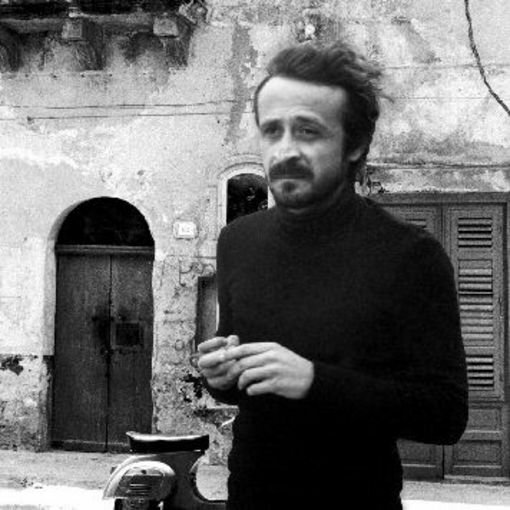 Peppino Impastato used humor and satire as his weapon against the Mafia. In his popular daily radio programme Onda pazza (Crazy Wave) he mocked politicians and mafiosi alike. On a daily basis he exposed the crimes and dealings of mafiosi in Mafiopoli (Cinisi) and the activities of Tano Seduto (Sitting Bully), a thinly disguised pseudonym of Don Tano Badalamenti, the capomafia of Cinisi. Nevertheless, it was Peppino Impastato and his friends that were considered to be the real nuisance and 'undesirable elements' by the authorities in town, not the 'respected' men such as Don Tano Badalamenti. Peppino's brother Giovanni declared before the Italian Antimafia Commission: "It seemed that Badalamenti was well liked by the carabinieri as he was calm, reliable, and always liked a chat. It almost felt like he was doing them a favour in that nothing ever happened in Cinisi, it was a quiet little town. If anything, we were subversives who made nuisances of ourselves. This was what the carabinieri thought. When I had a chance to speak to one of them – something which didn't happen often because I didn't really trust them – I realised that it was a widely held belief that Tano Badalamenti was a gentleman and it was us who were the trouble-makers." [...] "I often used to see them walking arm in arm with Tano Badalamenti and his henchmen. You can't have faith in the institutions when you see the police arm in arm with mafiosi." Peppino Impastato clearly understood the danger represented by Tano Badalamenti, and Tano Badalamenti clearly understood the danger of Peppino Impastato. Peppino’s struggles were too public and determined for the Mafia to allow his tireless activities to continue. Apparently, his father tried to protect him but unfortunately he was killed in a car accident in 1977, which might have been a premeditated murder. Apparently Badalamenti waited until after Peppino’s father had died to give the order to kill Peppino. In 1978, Peppino Impastato stood as a candidate in the Cinisi council elections for Proletarian Democracy (Democrazia proletaria). He was killed during the election campaign on the night of May 8–9, by a charge of TNT placed under his body, which had been stretched over the local railway line – a sinister twist of fate to the car-bomb that had killed his uncle and initiated Peppino's revolt against the Mafia. The same day, Christian-Democrat former Prime Minister Aldo Moro's corpse was discovered on via Caetani in Rome. Two days later voters in Cinisi elected him as a councillor. Initially press, police and investigative magistrates considered that Peppino Impastato had been a left-wing terrorist who had tried to bomb a railway line, but caused his own death. After the discovery of a letter written by Impastato several months before his death, authorities started talking about suicide. Thanks to the efforts of his brother Giovanni Impastato, his mother Felicia Bartolotta Impastato (who publicly broke relations with their mafia relatives), his fellow activists, and the Centro siciliano di documentazione (founded in Palermo in 1977; Giuseppe Impastato's name was added to its masthead in 1980), the Mafia's responsibility for the crime would be identified after a struggle of many years. Following a statement made by a former member of the Cinisi Mafia, the pentito Salvatore Palazzolo who had turned state witness, and named Badalamenti as the instigator of the murder, the investigation was formally reopened in June 1996, and in November the following year an arrest warrant was issued for Badalamenti. In 1998 a committee was formed by the Italian Parliament's permanent Antimafia Commission to investigate the 'Impastato case'. On December 6, 2000, it issued a report which outlined the responsibilities of State officials in leading the investigations astray. On March 5, 2001 the Court of Assises declared Vito Palazzolo to be guilty of murder, initially handing down a thirty year sentence, however, the Court later overturned his conviction. Gaetano Badalamenti was given a life sentence on April 11, 2002. Peppino’s mother, Felicia Bartolotta Impastato, reacted to the conviction in a very dignified manner: "I never have had any feelings of vendetta. All I have done is call for justice for my son’s death. I have to confess that, after so many years of waiting, I had lost faith; I never thought we would reach this point. Now I feel a great deal of contentment and of satisfaction. I always knew what had happened. Badalamenti used to call my husband Luigi to complain about Peppino, and my husband begged him not to kill the boy." In the 1994 Italian TV series La piovra 7 (it), the character of Daniele Rannisi, a young man who disavows his family connection to the Mafia and starts a satirical pirate radio show denouncing their activities, was based on Impastato. In 2000, the movie I cento passi was released about the life and death of Giuseppe Impastato. "I cento passi" (one hundred steps) was the distance between the Impastato's house and the house of Tano Badalamenti. The 2011 album La cretina commedia by Italian "ska" band "Talco" is a concept album about the life and work of Peppino Impastato. ^ a b c d e f g Giuseppe Impastato: his actions, his murder, the investigation and the cover up, by Tom Behan, Centro Siciliano di Documentazione "Giuseppe Impastato"
^ (Italian) Condividevo ma non ho avuto lo stesso coraggio... Interview with Giovanni Impastato, Girodivite, March 2004. Behan, Tom. Giuseppe Impastato: his actions, his murder, the investigation and the cover up, Palermo: Centro Siciliano di Documentazione "Giuseppe Impastato".